A catafalque is a raised platform on which a body lies in state before or during a funeral. Here, the platform supports a raft crowned by a draped corpse, recalling Viking culture and other ancient funerary traditions, and symbolising passage from life to death. A sheaf of bulrushes complements the watery suggestion of the raft. Much of Michael Sandle’s work has been inspired by listening to his favourite composers. These include Anton Bruckner (1824-96), whose symphonies typify the final stage of Austro-German Romanticism with their vast scale, richness and complexity. 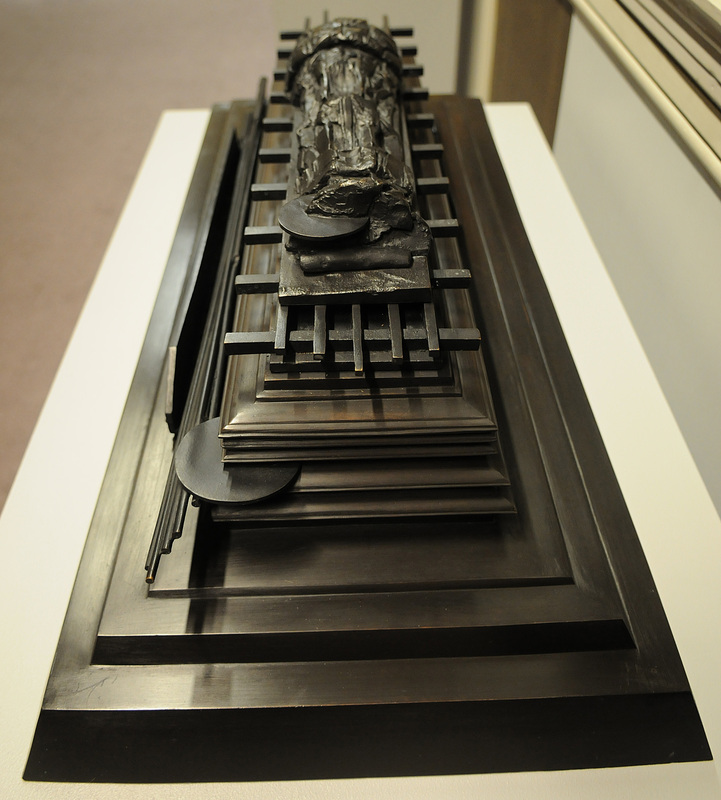 This sculpture is a particularly appropriate memorial, since the composer had a morbid fascination with death. 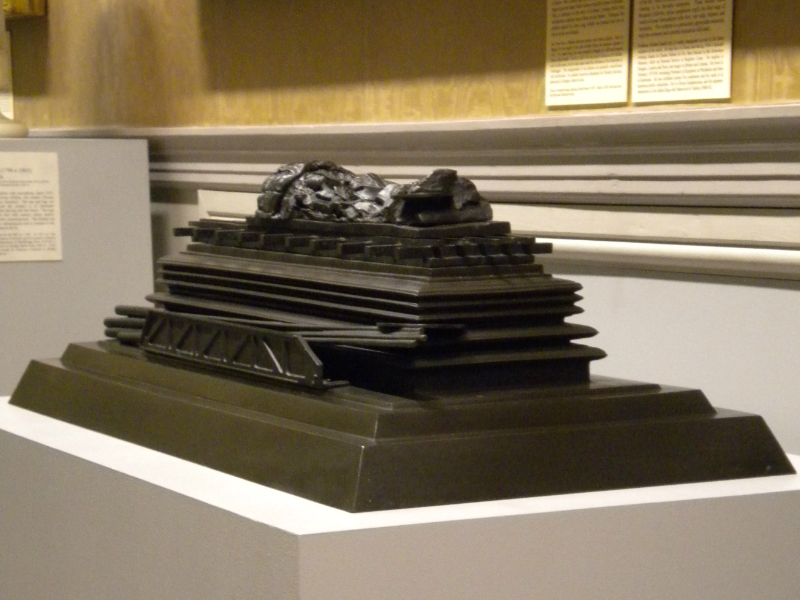 Professor Michael Sandle RA is widely recognised as one of the finest sculptors in the world. He was born in Dorset and during 1954-5 attended evening classes at Chester School of Art, then housed in the Grosvenor Museum, while on National Service at Saighton Camp. He studied in Douglas, London and Paris, and taught in Britain and Canada. He lived in Germany 1973-99, becoming Professor of Sculpture at Pforzheim and then at Karlsruhe. He has exhibited across five continents and his work is in numerous public collections. He is a Royal Academician, and his supreme masterpiece is the Malta Siege-Bell Memorial at Valetta (1988-92).